With ever-increasing complexity and interdependence of systems, software failures are becoming ever harder to fix. Worse, some of them could be a disaster waiting to happen. 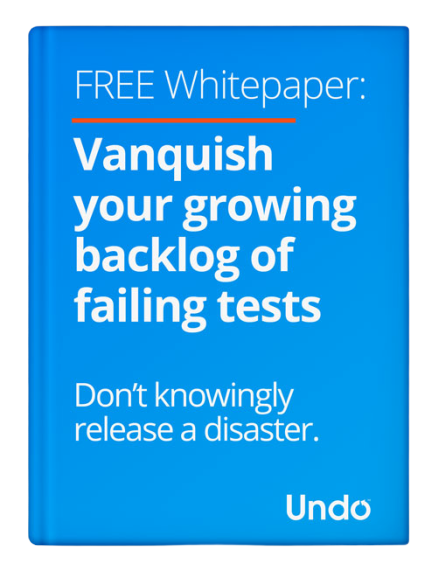 Are you left with a growing backlog of un-diagnosed failing tests and you don't know why? Record and replay technology offers a new approach to debugging that eliminates guesswork entirely and makes the most intermittent of failures 100% reproducible. Find out how you can reduce your backlog of failing tests and quickly diagnose software defects before they cause havoc on customer site. Download the whitepaper now! Undo’s technology allows the world’s biggest companies to improve the quality and reliability of their software. We use data-driven diagnosis and debugging to help the largest software companies resolve their most challenging software defects and improve customer experience.